Hi Darrell. I recently bought a Nikon D2x from eBay. Do you have any helpful tips on mastering this particular Nikon camera. I have not had any luck finding information on this camera. Sorry, but the Nikon D2X is so old (2004) that the entire menu system is quite different from newer Nikons. I did not write a book for that camera because it was 4 years before I started writing about Nikons in 2008. I still have my D2X and use it from time to time. At 100 ISO it is still a completely viable camera. Thank you for getting back to me regarding my question regarding the Nikon D2X. I appreciate you taking the time to provide me with the information. I will work with the information that I have found regarding the camera. Sometime back I came upon a D7200. Today I ordered your book from Amazon. I look forward to receiving it. Take care my friend. Blessings to you and family as well. No, Terry, I do not write books for the lower-end Nikons. Most people who use them do not need the level of detail my books bring to the market. However, fellow author, David D. Busch, at my publishing company Rocky Nook, has a book out on the D3500. Go to RockyNook.com and check out David D. Busch’s books. 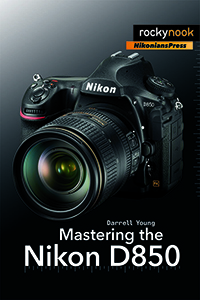 Sorry to bother you Darrell​​, I have a friend who got his daughter the Nikon D3500. Do you have any plans to produce a book for this model? What’s happened with mastering D7500? Was announced at Amazon and suddenly disappeared. Unfortunately, due to a very low preorder rate for the book, it was canceled. 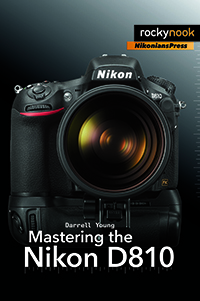 Too few people were buying the Nikon D7500 to make the book feasible. So sorry!